Retail shops require flooring that is tough and robust. Durability, longevity, and low maintenance are the most desirable features for retail flooring. Therefore, for high traffic public access areas, carpets are a top priority for a plethora of retail shop owners. However, since the carpets accumulate dust and grime over time, they need to be cleaned periodically. The air-borne dust is not the only concern of retail shop owners. The wide-ranging customers bring in debris and dirt from the external environment. Therefore, simply vacuuming the carpets is not enough. In order to properly maintain the commercial retail shop carpets, professional deep cleaning is essential. Clean carpets project an aura of hygienic and spotless environment. 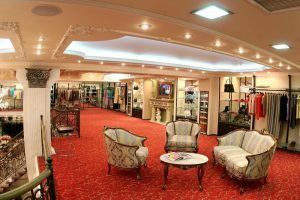 The success of retail outlets heavily depends upon the cleanliness of the shop. You may not be aware of it but shoppers base their decisions upon the environment of the store. This is because a prospective is likely to spend more time in a clean and well maintained shop. As the browsing time increases, it is highly probable that shopper will end up buying things, thereby, boosting the sales of the retail shop. On the other hand, if there are stinky odors coming because of unclean carpets, the shoppers will feel uncomfortable and uneasy. They will leave the shop almost as soon as they enter it. Another reason why carpet maintenance is important for retail shops owners is the brand image. When the customers notice that you have a neat and tidy environment, they will visit your outlet again. To make things even better, they will recommend your retail shop to their friends and family members. You will get unwarranted publicity, which is extremely beneficial for branding of your outlet. Carpets accumulate allergens in them along with dust. Therefore, it becomes quite necessary that you follow a bi-weekly vacuuming schedule. Your employees and consumers may have dust allergies. Having unclean carpets can pose unhealthy effects on them, triggering the allergic symptoms. It is your ethical responsibility to provide a clean environment to your employees. Furthermore, unhealthy employees will also be unhappy because of their allergic reactions to dust. The consumers will be dissatisfied with the customer service and will not give your retail shop a decent feedback. However, simply vacuuming the carpets will not remove the deep seated dirt, grime and allergen from the retail shop carpets and you will require professional carpet cleaning services. The janitorial and professional carpet cleaning services have undergone major transformations over the course of years. These services have become an important part of commercial carpet cleaning process. Extra Hands Services (EHS) provides exceptional high-quality carpet cleaning services to the clients. The professional technician at EHS ensures that your distribution and retail outlets have a clean environment.